The Bodleian Library’s winter exhibition tells the story of how together Jews, Christians and Muslims have contributed to the development of the book. Crossing Borders: Hebrew Manuscripts as a Meeting-place of Cultures draws on the Bodleian’s Hebrew holdings, one of the largest and most important collections of Hebrew manuscripts in the world. Covering a time span of 300 years between the thirteenth century and fifteenth century, the exhibition brings to light different aspects of Jewish life in a non-Jewish medieval society. The social and cultural interaction between Jews and non-Jews in both the Muslim and Christian world is mirrored in the blending of the inherent elements of the manuscript such as decorative patterns, writing styles, script types and text genres. As a result Hebrew manuscripts produced in different geo-cultural regions look quite different, showing greater similarities to the non-Hebrew books produced in the same region than to each other. By importing elements of the host culture, the Hebrew manuscripts are proof of coexistence and cultural affinity, as well as practical cooperation between Jews and their non-Jewish neighbours in the Middle Ages. The assortment of manuscripts is not restricted to religious text, but expend to literary and scientific works as well. Fragment from the Cairo Genziah (storage place of Hebrew texts) of Maimonides’ draft of his legal code Mishneh Torah. The autograph with many corrections made by Maimonides himself shows the development of his thoughts while writing his code. The Michael Mahzor: the earliest illuminated Jewish prayer book for the Festivals, produced in Germany in 1258. The prayer book was illuminated by a Christian, who - not familiar with the Hebrew script- painted the first illustration upside down. The largest fragment of uninterrupted text of the book of Ben Sira (Ecclesiasticus) in Hebrew, found at the Genizah of the synagogue in Fustat (Old Cairo). No Hebrew text was preserved thus far. Dated 10th century it is one of the earliest examples of a Hebrew codex. The Bodleian’s Hebraica collection dates from the earliest years of the Library’s history and the accession of several key collections in the 19th century, such as the Oppenheimer Library and fragments from the Cairo Genizah, has rendered it one of the most important collections of Hebrew manuscripts in the world, alongside an extraordinarily rich collection of early Hebrew and Yiddish printed books. All fields of traditional Hebrew scholarship are represented in the collection. The Library continues to select and acquire the latest books in the various fields that support the University’s programmes in Hebrew and Jewish Studies, and Eastern Christianity. The following is an account of an episode that occurred in the winter of 5663 (1902-3), extracted from Divrai Yemai Ha’Temimim (pages 65-66), a history of Toimchei Temimim the Yeshiva in Lubavitch (published in Kerem Chabad, Vol. 3), by the secretary of the Yeshiva, HaRav HaChosid R’ Moshe Rosenblum (a short biography of whom is printed as a preface to Divrai Yemai Ha’Temimim – as an aside he was no ordinary secretary, his stature was such that he was one of only three people who merited to receive Smicha from the Rebbe Maharash). One day, when the Menahel [the director of the Yeshivah, Rabbi Yosef Yitzchok Schneersohn, son and successor of the Rebbe Rashab] visited the students [in the main study hall of the Yeshivah], he set his eyes on a particular student. With his unique insight and exceptional sensitivity, he sensed that something was weighing heavily on the students heart and that there is no peace in his soul. Knowing this student to be possessed of superior abilities, the Menahel was especially interested in him. At a meeting of all the faculty of the Yeshiva, the Menahel took the opportunity to investigate, asking those gathered their opinion of this student. All agreed without dispute, the conduct of this student to be good and wholesome in all respects. He dedicated himself to his studies at an exceptional level of diligence and depth and no imperfection – even in a matter of small importance – could be found. There seemed to be nothing to account for the Menahel’s impression. These words certainly aroused confidence in the student’s heart and he would come regularly to ask the Menahel about various matters that he had difficulty understanding. 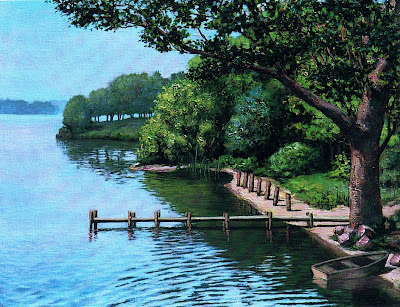 However, after several days had passed, the Menahel recognized that – although the student liked him well and the friendship he had shown him was being returned, nevertheless – the student had not yet entirely laid bare his heart. The Menahel knew that something was buried in the depths of the student’s heart, preventing him from fathoming the true depths of his studies, and the student was still hiding this matter from him. One day, when they entered into conversation, the Menahel said to the student, “In order that you may comprehend your studies to their true depth, I request of you, that you reveal before me any question or line of investigation that stirs in your heart. Do not be shamed, for only then will you be able to grasp the truth and depth of the matter. As our sages said “a shy person does not learn”. The student agreed that he was certainly correct; “However,” he said with a sigh, “you are demanding too much of me, for I simply cannot reveal all that is in my heart before you”. Accordingly, the Menahel solved the riddle, and with a great deal of sympathy, spent much time to clarify these concepts for the student; with words of logic and intelligence, he gave him to understand and enabled him to logically assimilate these extraordinary matters. This account speaks for itself. If only all teachers where so concerned, so open and alert to the often unspoken queries that trouble innocent hearts. If only all students were granted the confidence to express themselves, to articulate their doubts. Perhaps herein lays the key with which to heal the ailing education systems of today. Certainly, I am over-simplifying both the complexities that beset today’s educator as an individual and the varied issues that beleaguer the diverse segments of the Jewish community. Nevertheless, the education systems of the orthodox world may be split into two very general types, the modern orthodox and the Chareidi. In the Chareidi world serious questions are almost taboo and questioners are often perceived as near-heretics. The modern orthodox do not evade the questions posed by their students, however, rather than attempting to answer the question or acknowledge their insufficient knowledge, they often submit to the doubts of their pupils, choosing to distort the teachings of the Torah rather than defend its old age precepts. More faith is placed in scientific “fact” than in the traditions of our mesorah (see here). In order to preserve our Torah in the pristine form that we received it from G-d, we need educators who are possessed of erudition, strength of character and determination. Teachers who will rise to the challenges of their pupils, who are concerned enough to honestly engage their students, and who command the breadth of knowledge and the depth of insight required to satisfy their thirst while remaining completely unapologetic. Rabbi Yosef Yitzchok was the master of a unique discipline, which combines intelligence, intellectual honesty and a commitment to correctly assimilate theological truths. Perhaps, if we study his teachings and emulate his character we will all become better teachers. While documenting the efforts of the Rebbe Rashab to provide Matzah for Jewish Soldiers in the Russo-Japanese war (1904-1905), we came a across an interesting letter, dealing with the role of Toimchei Temimim in this area. In this letter the Rebbe Rashab replies to a suggestion made by his son and successor, Rabbi Yosef Yitchok, that the offices of Toimchei Temimim be utilized in the efforts to gain support. In reply, the Rebbe Rashab sets out to explain the purpose for which Toimchei Temimim was founded, and clearly defines the limitations of its field of activity. As we will demonstrate, this letter is not merely of localized significance, but rather carries multifaceted ramifications that are relevant to this day. The primary underlying purpose of Toimchei Temimim is to fortify the youngsters and guard them from any damaging entity… with G-d’s help, to plant within in them fear of G-d and love of G-d. Similarly in any place [not only within the established Yeshives of Toimchai Temimim] where they [the faculty of Toimchei Temimim] have the ability to strengthen hands [that are] weak in Torah and service [of Hashem], for instance to establish shuirim to learn with the youngsters in the villages… too draw them to Torah and to try and plant fear of heaven in their hearts, that they will separate themselves from forbidden things, and desire to fulfill Mitzves in practice. This is the certified purpose of Toimchei Temimim. However its purpose is not to worry about the fulfillment of specific Mitzves or [to] guard against specific things, for instance its [Toimchei Temimim’s] purpose is not to ensure that there should be supervisors on the Kashrus of meat (which is one of the issues which are extremely pressing… and if we had a “committee for the strengthening of Yidishkeit” this would be one of its primary functions…) Similarly regarding the keeping of Shabboss and the like, and Sukkah and Lulev etc. Similarly its purpose is not to worry about the matter of the Matzah – it is self understood that each and every Jew, being that he is a Jew, must worry about this, and actively invest effort in this [endeavor] as much as he is able, however this is not the its [Toimchei Temimim’s] purpose and in this matter it [the faculty of Toimchei Temimim] is like each and every private individual of our Jewish brethren. This letter provides far reaching insight into the problems confronting Russian Jewry at the time and the primary methods which the Rebbe Rashab employed to resolve them. In those days Yidishkiet and the practical observance of Torah and Mitzvos, came under the threat of the increasing influence of the Haskaleh (“enlightenment”) movement in general and various political and Zionistic elements, which promoted a cultural and ideological version of Judaism, rather than Torah true Yiddishkiet. Two possible avenues where open to the leaders of Torah true Jewry at the time, 1) to fight the Haskaleh head on with a campaign promoting Yiddishkiet on a very practical level, encouraging people and helping them to raise their standards of Yiddishkiet, 2) to instill the younger generation with the inspiration and fortitude necessary to withstand the attacks of the Haskalah, motivating hundreds of young men to themselves become proactive bastions for the promotion of Torah true Yidishkeit in whatever the situation and wherever they may be found. While the first option may yield faster and more visible results, the Rebbe Rashab realized that in the long run the cultural and social appeal of the Haskalah movement would prove more popular than Torah true Yidishkiet. The only real solution would be to deal with the root of the problem, carefully grooming the younger generation to be impervious to the attraction of the Hakalah. In other words, rather than dealing with the issue on an external (and solely practical) level, the Rebbe Rashab set out to create a new type of individual, impervious to any damaging entity and inculcated with a sense of privilege and responsibility to act for the sake of heaven. Individuals, whose very presence in a particular locale would inspire an atmosphere of love and fear of G-d, and automatically encourage the furtherance of Torah true Yidishkeit on all levels. By establishing Toimchei Temimim, the Rebbe ensured that there would always be private individuals who would be ready to dedicate themselves to the needs of Yidden and Yiddishkiet whatever they may be. The points made above are born out from many sources, however this letter adds an added dimension in that it describes the limitations of Toimchei Temimim’s function as well as its purpose: A clear distinction is made between the general purpose for which Toimchei Temimim was founded – a purpose to which its efforts are to be devoted to exclusively – and specific “projects” – which while worthy of attention in their own right, are not within the field of activities that Toimchei Temimim was set up to attend to. While the faculty are duty-bound as private individuals to invest their efforts in all areas of Yidishkiet without distinction, these activities must remain private and do not enter under the banner of Toimchei Temimim. Furthermore (as explained earlier) the success of Toimchei Temimim would automatically produce a large base of individuals who would themselves be instilled with a sense of duty to invest their efforts in all areas of Yidishkeit without distinction. Apart from anything else, this letter provides us with important lessons in the conduct of communal affairs: 1) No matter how valid a particular cause, for the sake of efficiency and effectiveness each organization must stick to the particular field it was set up to address. 2) This certainly does not mean that an individual who has already committed himself to the efforts of one organization is relieved of his responsibilities elsewhere. Rather if a new issue presents itself a new committee or organization must be formed to deal with it and it is incumbent on every private individual to consider what he or she can do to further the efforts of that organization. 3) Obviously, no private individual can do everything all at once; one must therefore commit oneself more fully to the area where the individuals particular capabilities can be used to maximum effect and delegate in other areas, offering moral and monetary support according to one’s means. 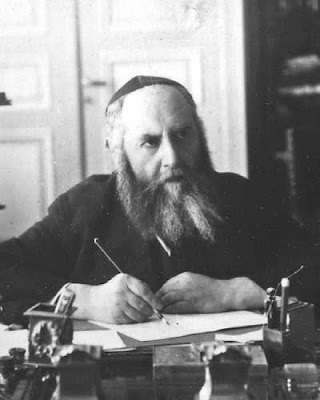 Indeed, the vast majority of the original Temimim became Rabbonim, Shochtim and Melamdim throughout Russia (and later in America and Eretz Yisroel) who where Moiser Nefesh for Yidishkeit at every level, promoting Chinuch, Mikaveh and Kashrus at a very practical level. When the Friedike Rebbe came to America, his first step was to reestablish Toimchei Temimim. 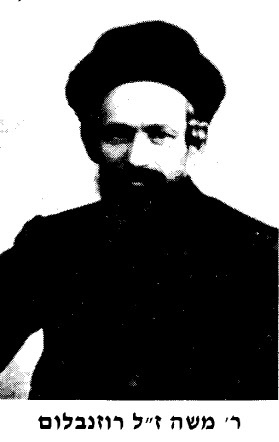 Although he later went on to found Merkoz L’Inyonai Chinuch and other organizations for the promotion of basic Yidishkeit, Toimchei Temimim remained the foundation upon which the future of Lubavitch would be built. To this day, this remains the basic model on which Lubavitch is set up to operate: the Yeshiva system is meant to cultivate and educate its Talmidim to be Temimim. As spelled out in the letter above, the purpose of Toimchei Temimim is (not to send Bochurim on Mivtzoim or to manufacture Shluchim, but) to create Temimim who live with an inner sense of אהבת ה' ותורתו – a sense of the responsibility and privilege of being a Torah and Mitzvah observant Yid. That sense of responsibility and privilege, automatically obligates the individual to invest all his efforts into the furtherance of Yiddishkeit in any way that he is can, helping his fellow Yidden to fulfill the will of Hashem, wherever they be found and whatever their situation. Perhaps the most striking point which comes across is the simplicity with which the Rebbe Rashab treats the general issue of promoting such basic Mitzves as Kashrus, Shabbos, Sukkah, Lulev and Matzah. This is not in any-way seen as something unique to Chassidim or Lubavitch, but rather the natural responsibility and reaction of any every Torah Jew. 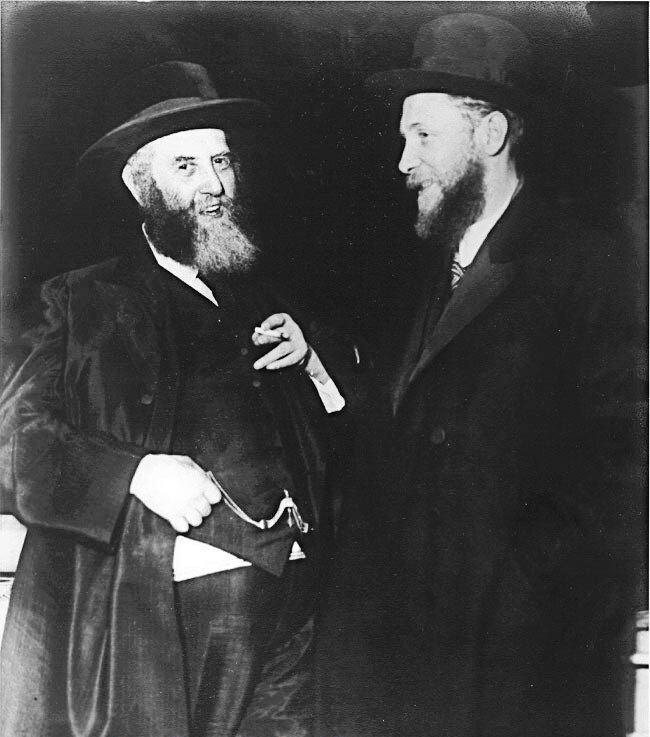 In other words, the obligation of a Lubavitcher to be involved in activities referred to today as Mivtzoim should not be seen to stem from his identification with Lubavitch ideology specifically, rather, in this regard a Lubavitcher “is like each and every private individual of our Jewish brethren”. Indeed Mivtzoim was never instituted as an official part of the “curriculum” in Lubavitch Yeshivas, rather each Bochur as an individual takes it upon himself to spend his own free time on Friday afternoon taking care of his obvious responsibility to further the cause of Yidishkeit in whatever way he can. ויהי רצון שע"י מעשינו ועבודתינו כל משך זמן הגלות נזכה להגאולה האמיתית והשלימה ע"י משיח צדקינו בקרוב ממש!